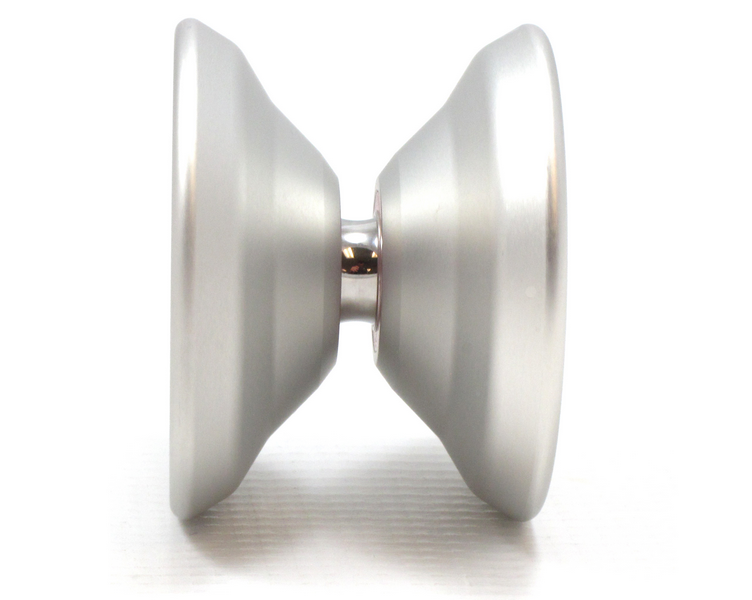 One of Werrd’s flag ship yo-yos, the IRONY JP has an extreme shape that maximizes both spin time and manoeuvrability that makes it a great choice for competition. The new IRONY JP further refines the original design, making it suit the freestyle play demands of some of Japan’s best yo-yo players. The Japanese have for a long time demanded a level of quality and precision that few manufacturers outside of Japan can meet. Werrd was up to the challenge and the IRONY JP is the result. Machined from the best 7075 aluminium, the IRONY JP is solid and dead smooth with perfect weight distribution and some of the longest spin times known to mankind. 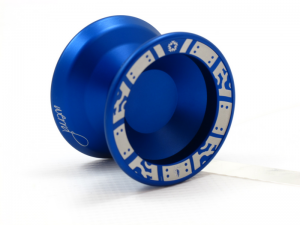 Incorporated into the design is the unique IRONY negative cut shape and a concave finger spin cup to enhance trick variety. The IRONY JP is soda blasted to give it a silky smooth finish perfect for grinding and comes stock with a genuine Dif-E-Yo konkave bearing, IrPad response and Poly Kitty String. This is a sports model, a players model, like an F1 racing machine.